North Korea asked the United States to delay planned high-level talks in New York this week, Seoul's top diplomat said on Thursday, a day after Washington abruptly announced the meeting's postponement. 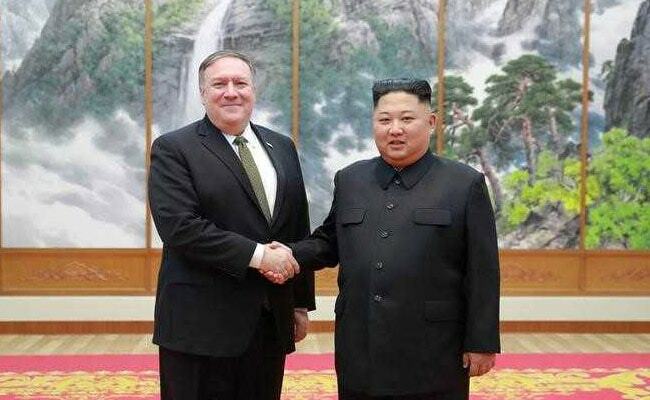 The US State Department said Wednesday that the encounter between Secretary of State Mike Pompeo and top North Korean official Kim Yong Chol, initially scheduled for Thursday, had been shelved for "a later date". "The US told us that it received a message from the North to postpone the meeting," Kang told lawmakers, according to Yonhap news agency. South Korean reports said that Kim -- one of North Korean leader Kim Jong Un's right-hand men -- had been scheduled to catch a lunchtime flight from Beijing to New York on Wednesday. Trump and Kim held a historic summit in June in Singapore -- the first ever between the two countries -- where they signed a vaguely worded deal on denuclearisation. North Korea, which is subject to multiple UN Security Council sanctions over its weapons programmes, warned last week that it would "seriously" consider returning to nuclear weapons development unless Washington lifts the restrictions. Koo Kab-woo of the University of North Korean Studies said that the differences over sanctions were probably the "biggest reason" for the postponement. "Kim Jong Un needs a visible outcome that can be felt by the ordinary people, and for that, North Korea desperately needs sanctions to be lifted," Koo told AFP.